On January 28 1984, Madonna’s single, Holiday hit #16 on the Billboard Hot 100 in the USA. Holiday was released on September 7, 1983, and became Madonna’s first hit single and remained on the charts from Thanksgiving to Christmas in 1983. 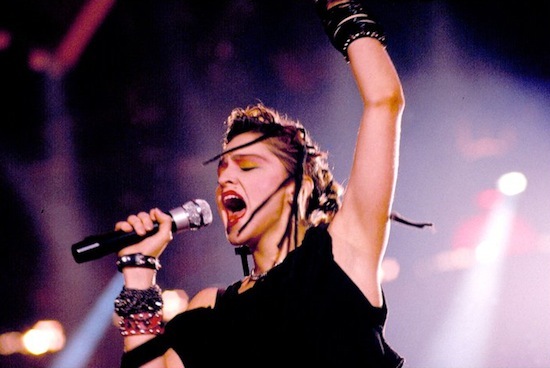 It was Madonna’s first song to enter the Billboard Hot 100, at 88 on the issue dated October 29, 1983 and reached a peak of 16 on January 28, 1984 and was on the chart for 21-weeks. 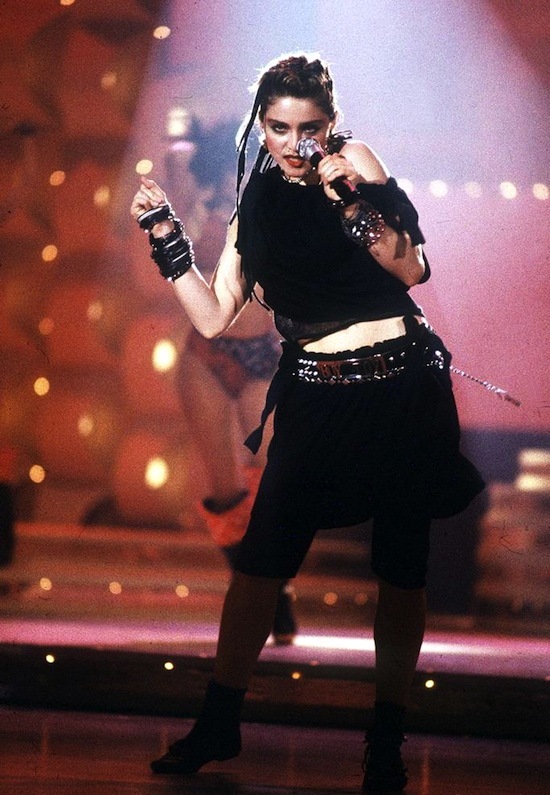 The song debuted at eight on the Hot Dance Club Play chart on the issue dated November 2, 1983 and was Madonna’s first number one single on the Hot Dance Club Play chart remaining at the top for five weeks. In the United Kingdom, Holiday has been released three times as a single; in January 1984, reaching number six, and in August 1985 reaching number 2 (only being kept from number one by her own Into the Groove single). Its third release in 1991 included new artwork to promote The Immaculate Collection with a limited edition EP titled The Holiday Collection, which contained tracks omitted from the compilation; this version peaked at number five. The photos for this post are from Madonna’s Solid Gold performance of Holiday. 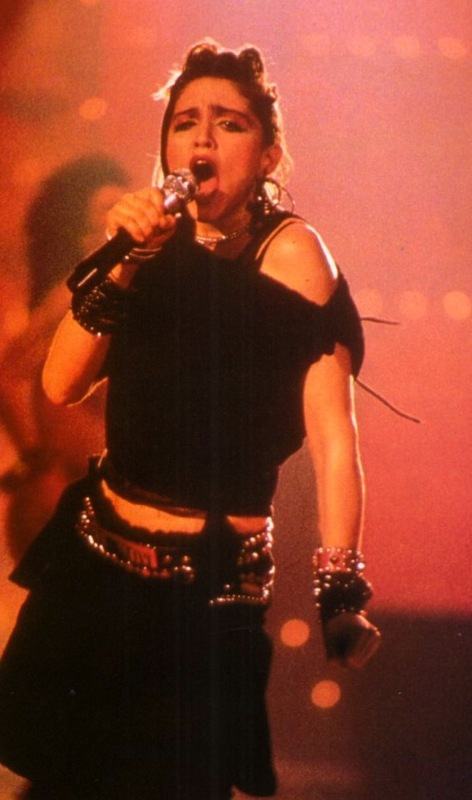 On December 13 1984, Madonna performed Like A Virgin on BBC1-TV’s Top Of The Pops in London, England. 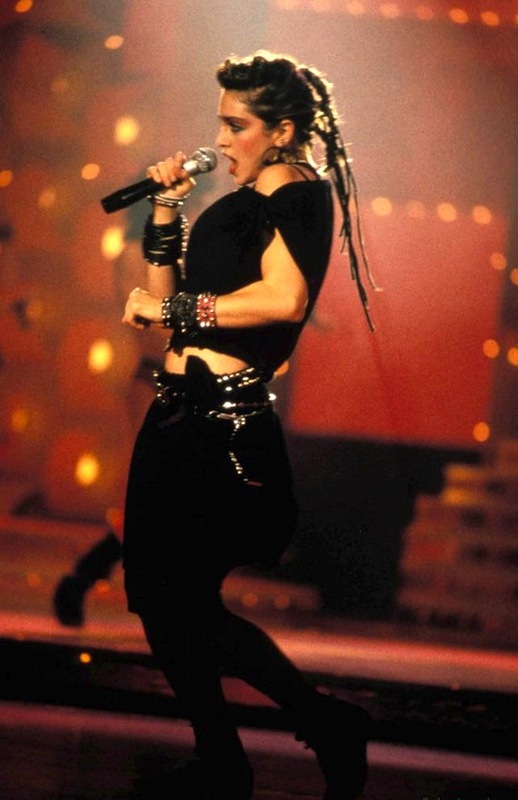 Madonna wore her signature Boy Toy belt, a Keith Haring jacket and a vibrant pink wig. She wore the same pink wig during a performance on Like A Virgin on Solid Gold.